Designed with content creators and designers in mind, the new 15.6" MSI PS63 Modern looks to make a bold statement. 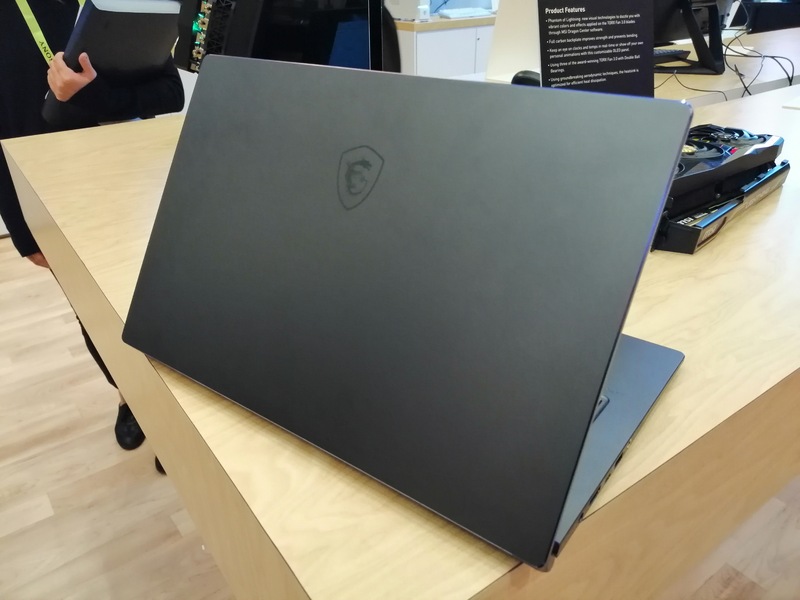 The key feature for this new notebook is the specifications: under the hood we get Intel's latest Whiskey Lake processor, combined with a GTX 1050 Max-Q graphics card, a 15.6-inch 1080p display, and yet MSI claims that this system will hit 16 hours of battery life. That's one hell of a combination. Also included is Qualcomm's Quick Charge 3.0 for quicker mobile device charging on supported devices. This is so with its '16 hour battery life', a user could be on the system for 12 hours and get a full charge of a smartphone in a day. 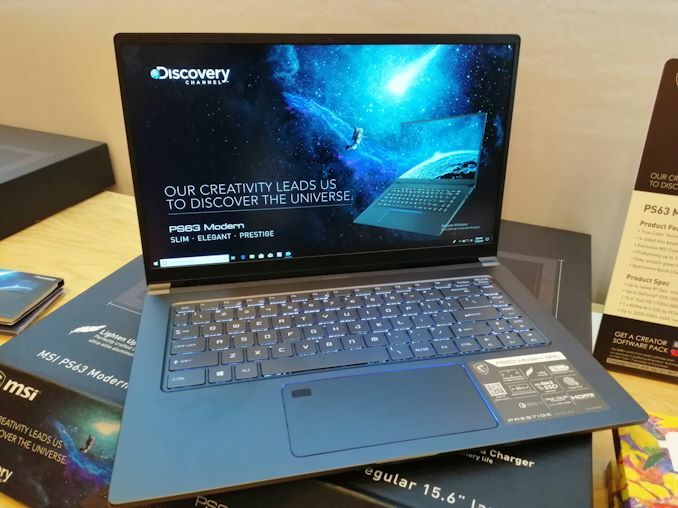 With a similar specification and feature set as the new Dell XPS 15, MSI's model looks to be undoubtedly cheaper if their usual pricing model applies and could certainly turn a few heads with its touted 16-hour battery life and MSI True Color technology designed to produce close to near perfect sRGB (99.6%) color reproduction. 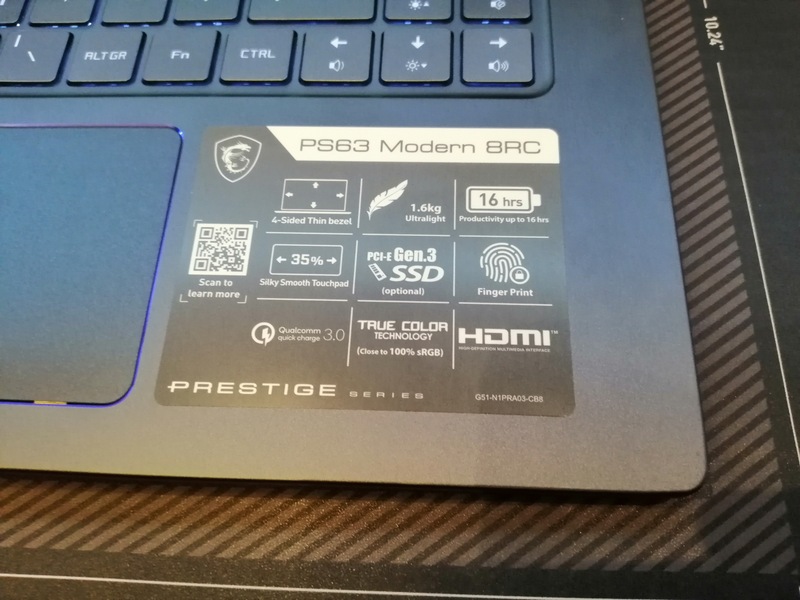 Some of the specifications of the MSI PS63 Modern include a 15.6" 1080p IPS panel which is powered by an NVIDIA GeForce GTX 1050 or GTX 1050 Ti with Max-Q Design and 4 GB of GDDR5 memory. Memory support is limited to DDR4-2400, but up to a maximum of 32 GB can be installed, if not provided as standard. Aimed more at professionals, there is no flashy RGB keyboards, but MSI does include one of its smooth glass touchpads and has room for up to two M.2 NVMe capable SSDs. There's also a fingerprint reader too. MSI's Creator Center software is included which made its first appearance in the MSI P65 Creator model last year. 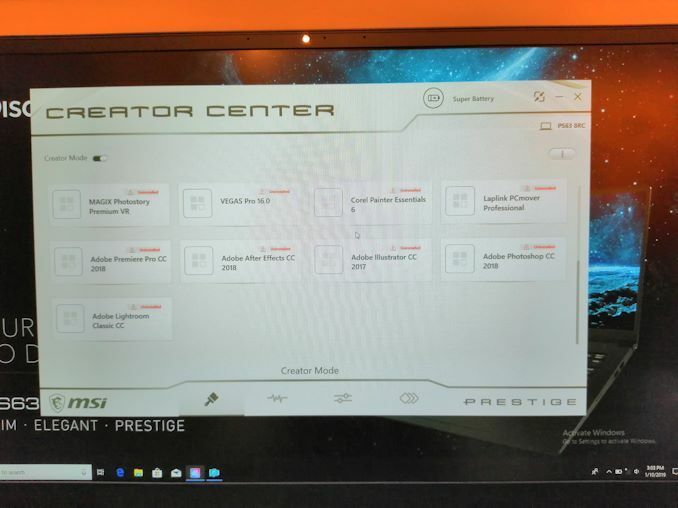 The Creator Center looks to optimize and include adjustable system modes for creative applications including MAGIX Photostory, Adobe's suite and even the Sony VEGAS Pro video editing software. There are no details on the launch pricing or retail availability of the MSI PS63 Modern at present. The whole unit is built on a '16 16 16' principle: 16 hours battery life, 1.6 kg weight, and 16mm thick. This unit was easily one of the most impressive we saw at CES this year. LOL, I assumed nothing. I literally said "wait for the review and see"
On Linux with a bunch of tweaks and the 1050 in low power profile, I got the idle consumption down to 10 watts. (Couldn't get the Intel GPU to work.) Under full load you're looking at 40 watts upward, around 15-20 watts with Thunderbird, Telegram, and Opera loading a page in power saving mode. Battery has 72 Wh. I get 5-7 hours real world use out of it. Yup, just like every other run time number.